Before you optimize… you measure. That’s where analytics, and more importantly, the proper setup of analytics comes in. There are plenty of analytics packages available and your client may be using high end tools like Adobe Analytics or something simpler, like Kissmetrics or even Clicky. However, the chances are excellent they’ll be using Google Analytics as well. For the remainder of this email, we’ll be covering how to setup Google Analytics to make sure that it’s telling you a useful truth (remember “useful truth” – you’ll be seeing it again). The short answer is: You could do that, but you’d be missing out. Missing out on the chance to segment your data (e.g. mobile vs. desktop, location, traffic source or demographic). Missing out on a chance to DOUBLE CHECK the results. When it comes to analytics the truth is in the trend. When you only have one source of measurement you are forced to assume that the one source is correctly measuring… and that’s dangerous. Every optimization tool (like Google Analytics) will give you a version of what it sees as “the truth” when it comes to the data. You don’t want the truth though… you want a useful truth. Sometimes you can only see a useful truth by comparing the results of two or more different tools against each other. 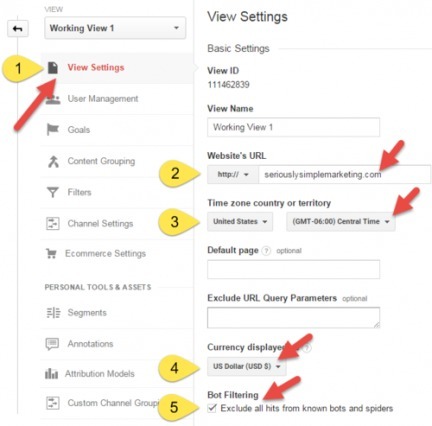 Now that we’ve covered the “why” behind properly setting up Google Analytics. It’s time to introduce a partner tool that’ll help you “supercharge” your setup. It’s called “Google Tag Manager”. Tag Managers were created to solve an enterprise level problem. In the past, when someone in the marketing department wanted to put something as simple as a Facebook conversion pixel on a page, they’d have to create a ticket and hand everything over to IT. Typically, IT had plenty on their hands already and after a fairly lengthy process, would eventually get that pixel live on the site. That’s a painfully slow way of doing things though. Tag Managers were built to give the marketing team a way to update their site and, at the same time, free up the IT team to focus on more important projects (like that new cart design). Think of them as a “dashboard” for anything related to tracking. In 2012, Google announced their own Tag Manager and ever since “Google Tag Manager” has grown in both users and features. There are three main parts to GTM (Google Tag Manager). Google Analytics has a great overview of Google Tag Manager here. Enough chatting about what these tools are. Let’s dive in and have some fun! You’ll want to start with coming up with an implementation plan. Fortunately, Google has a good explainer video here to help you get started. An implementation plan will help you think through the entire process. Once complete, you’ll have a good idea of all the initial steps you’ll be taking to setup GA (Google Analytics) and verify it’s working properly. Google Analytics “Account” created (normally by the client, but you can create this as well). 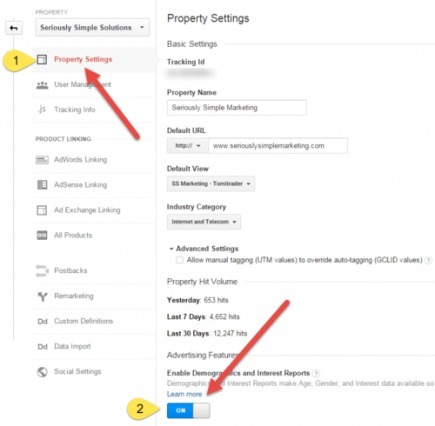 Google Analytics “Property” settings customized (this is where you’ll link other Google services like AdWords). In almost all cases, your clients will already have a Google Analytics account and you’ll only need them to add you as a user. If they don’t yet have an account, then you’ll create an account and add them yourself. Here’s how to do both. If your client is already using Google Tag Manager, have them add you as a user or create an account yourself and add them as a user by following the instructions here. Once the account is setup, the next step is to get GA reporting Pageviews. There are two ways to do that. Copy and paste the GA tracking code on your client’s site (or have their developer do it). 2. Google Tag Manager – RECOMMENDED! Install the GTM script on your client’s site (or have their developer do it) and then setup the Pageview tag by following the instructions here. Next up, verify the basic “Pageview” tracking is up and running. 1. 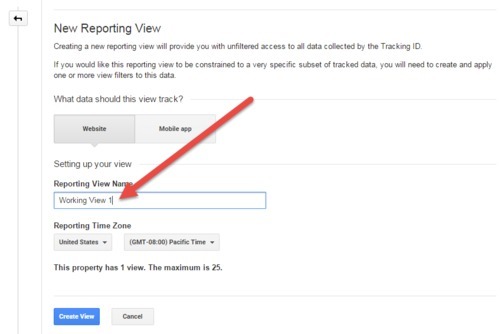 If you’re optimizing a high traffic site, it’s helpful to filter the Real-Time reports so they just report on your location. When you’re on the site, select Real-Time>Locations and you should see your own city showing up. Select that and the rest of the Real-Time reports will be segmented to just show traffic from your city. As an alternative, you can also use UTM tags to accomplish the same thing… more on these later. The Google Analytics code is on the page (normally you can “right-click” and select “View Source” then search for “UA-” to find the GA code). The Google Tag Manager code is on the page and the Pageview tag is setup correctly. With the account setup and the basic Pageview information reporting, you’ll want to move on to the Property setup. Once that’s done, you’ll want to verify that any other Google accounts you or your client have access to, have been linked. Of these, the most popular (and useful) will be Google AdWords and Search Console (so you can get access to valuable SEO data). 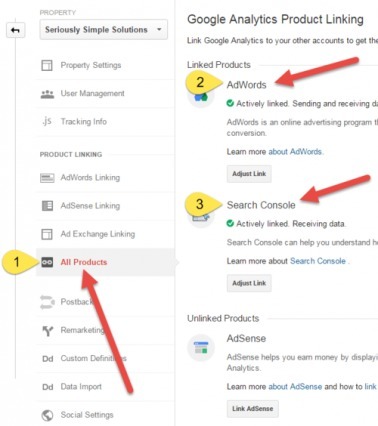 Here’s how to link AdWords to Google Analytics. 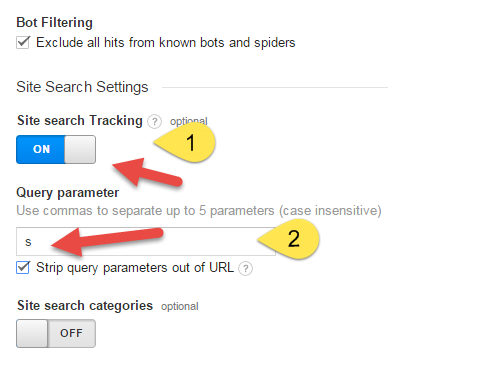 Here’s how to link Search Console. If your client uses other Google services that can be linked, I’d suggest you link them too. Data is your friend and every linked account will give Google Analytics data that it wouldn’t otherwise have access to. 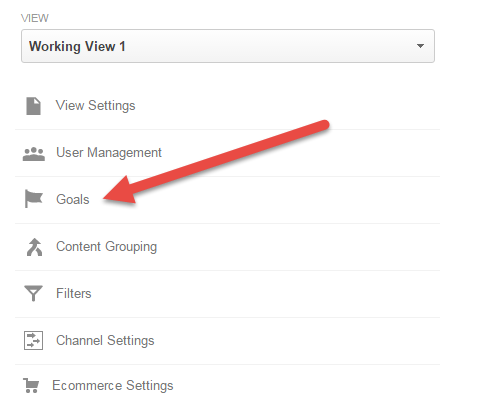 WARNING: Whenever you link accounts, like AdWords, Google Analytics will ask you which “Views” you want to link them to. As you add Views, which we’ll talk about next, you’ll need to go back and make sure you link them to the Google services you need. Among other things, each “View” in GA has its own Goals and its own Filters. This allows you to customize the data you see in the Google Analytics reports (which I’ll show you how to do). 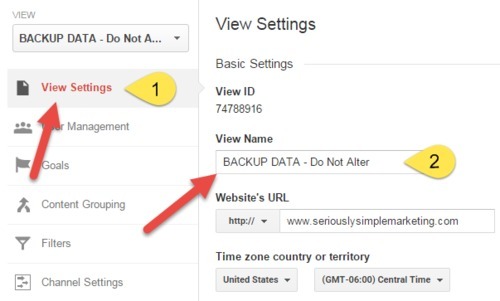 If this “All Website Data” View has ZERO Goals or Filters associated to it, you’re fairly safe to just rename this View to something like “Backup Data – DO NOT ALTER”. Because we’re about to unlock some pretty cool features of Google Analytics! Not the least of which is something called Filters. Filters permanently alter the data in the View. Once you Filter out something, it’s gone forever and there’s no way to get it back. If you have a backup View, one that doesn’t have those Filters on it, the data in that View remains “untouched” (hence our nickname, the “Virgin View”). That’s why you have a backup. It’s for that “just in case” scenario. You’ll still lose the data in the View that had the Filter setup, but at least you’ll have a backup View to flip to and (hopefully) find what you need. Once you’ve created your backup View, it’s time to create a new View and set it up properly. Once you’ve created this View you’ll want to setup a few things, starting with the name. We normally start with “Working View 1” as a name and change it later if needed. Once you’ve named your View, you’ll want to setup the basics. If the site you are optimizing has an “on-site” search bar, it’s a great idea to enable that in the View as well. Once you do this, GA will “listen” for those searches and will report back to you what it finds. It’s a great way to figure out what the site visitors are looking for! You’ll notice in this example I added “s” as a query parameter. That’s because in almost all WordPress sites, “s” is the parameter that is used to denote a search. 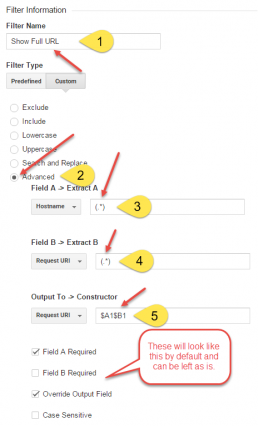 If the site you are working on doesn’t use “s” you’ll want to enter the parameter it does use. 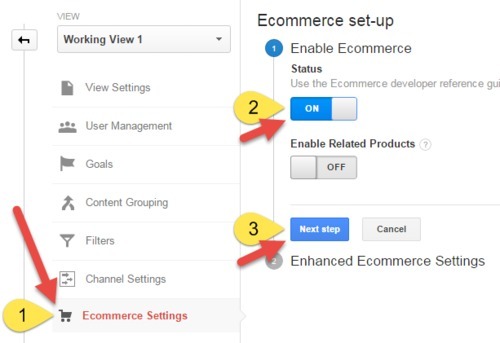 With the basics setup, it’s time to turn on Ecommerce (assuming your client will be passing Ecommerce data through) to GA.
Keep in mind, turning on the reports is only a step. In order to actually see the transaction data in Google Analytics, you’ll need to make sure that data is being reported correctly. Whether you are using the recommended Google Tag Manager implementation or just the GA code, this will help give you some guidance. These can be a little complicated, so I’ll be brief here. First, not every View will have Filters. With most of our Views though, we setup a Filter that shows the full URL in the Google Analytics report (so instead of just “/” showing for a homepage, it’ll show “homepage.com/” instead). 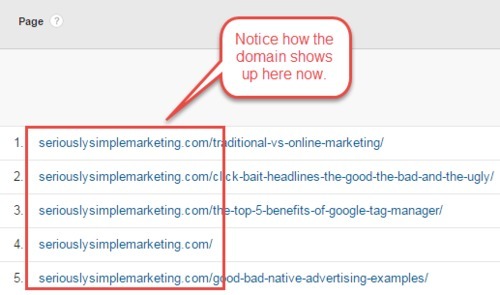 This particular Filter is useful not only because it allows you to see the entire URL, but it’s also necessary to set up Cross-Domain Tracking (more on this feature later). It’s a little beyond the scope of this course, but you can also setup Filters that will filter out traffic from certain IP Addresses or even certain traffic sources (which can come in handy to get rid of spam bots that make it through to your site). Remember, Filters permanently alter the data of the View they are setup under. If you are in doubt as to the Filter you’re about to setup, create a copy of the View you’re working on and test it out first. 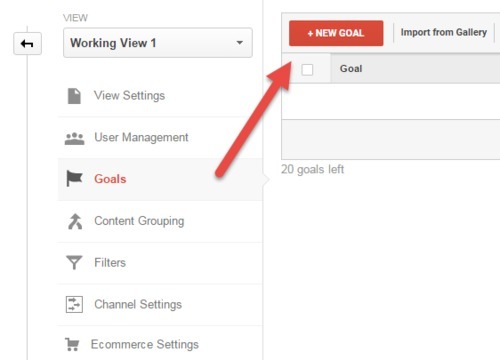 You’ll be taken to a screen where you can create a name for your Goal (you can change this, by the way) and you’ll have a chance to designate which type of Goal you want to create. Destination – You’ll use this fairly often. It’s perfect for whenever you need a Goal to trigger whenever a certain URL (or URL fragment) is loaded in the browser. It also allows you to build “funnels” that you can track in the Funnel Visualization report. Here’s a great place to get some specifics on Destination Goals and how to setup funnel tracking. Duration – These are Goals based on the time someone spends on your site and when combined with advanced segmentation, can measure how engaged a visitor is with your site. 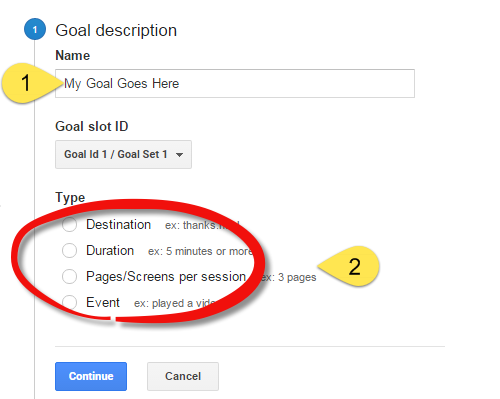 Pages Per Session – Another Goal you can use to measure engagement. This one fires whenever anyone surpasses a certain number of pages in a single session. Event – In my humble opinion, these are the most useful of all the types because they are they the most flexible. They are triggered whenever a certain condition (or combination of conditions) is met. Anything from the click of a mouse on a specific button to a certain action taking place, like when a visitor requests to live chat. Event Goals do require a bit of setup. First, you’ll need to determine which specific action you want to track. For example, the click of a purchase button. There are two ways to do this. The hard way, which requires a developer to custom code the action like this. And the easy way, using Google Tag Manager. Google Tag Manager and Google Analytics were literally made for one another. There’s no better demonstration of this, then when you are setting up Events and Event Goals. 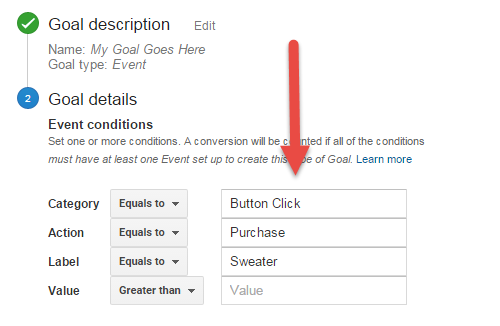 The first step is to setup an Event tag that fires the specific Category, Action, Label, and/or Value. In my own experience, we rarely use the Value field (instead we set up Ecommerce to get monetary data points). While it does take a little practice, once you get the hang of it, using Google Tag Manager to fire Events to Google Analytics becomes a breeze. Want to see how it’s done? Check this out… It’s a great step-by-step. 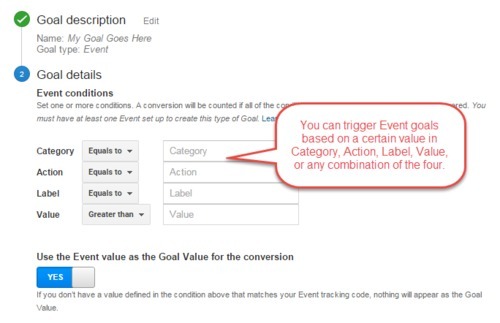 Once you have confirmed the Events are correctly reporting to Google Analytics (you’ll do this using the Real-Time>Events report) all you have to do is create a Goal that fires when the specific Event comes through. Now that you’ve got your Goals in place, you’ve got your basic View all set! You’ll see that we have a number of customized traffic sources reporting here. We’re doing that using UTM tagging. You’ll want to be sure you give your clients resources like this so they know how to tag their own traffic. The better quality tagging they do here, the better quality data you’ll have to optimize from. 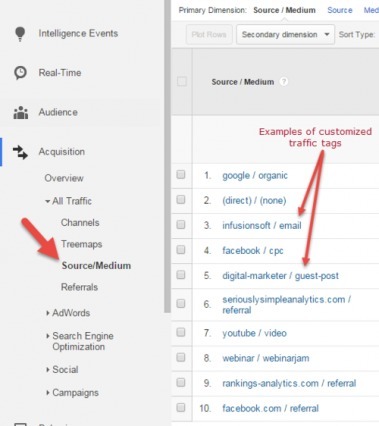 UTM tags should only be used to tag EXTERNAL sources of traffic. Traffic sources like Facebook, email, AdWords, etc. You wouldn’t want to use UTM tags on any link that’s already on your site, only external links that lead to your site. If you take action and follow the steps in this seriously simple email, you’ll know more than most! It’s called “Cross-Domain Tracking” and it could come into play if your client’s site has multiple domains as part of their funnel or “buyer’s journey”. In these cases, you’ll absolutely want to setup Cross-Domain Tracking. If you’re using the traditional Google Analytics (boring) try doing this. If you’re using Google Tag Manager (you should be) it’s faster to do this. Remember, whether it’s Google Tag Manager or Google Analytics, it’s normal to have lots of questions. When you do, feel free to find me at SeriouslySimpleMarketing.com and I’ll be happy to offer assistance. Now that you know a thing or two about properly setting up your analytics, you’ll know that your data is providing a useful truth and can count on it to help guide your optimization efforts. Use additional analytics, outside of conversion tools like VWO and Optimizely, to segment your data and double check results. Make Google Tag Manager your new best friend to simplify and speed up the management of tags, triggers and variables. No IT department required! Using the step-by-step instructions in this email, setup your Views, Filters and Goals in a way that captures a useful truth, not convenient pieces of the truth. For more from Chris, check out SeriouslySimpleMarketing.com.